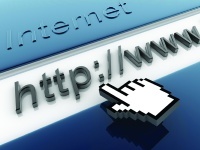 New internet domain suffixes are becoming available for the legal profession giving a range of choices for law firms. This week the .lawyer domains will go live following a pre-registration period. It has also been announced that the domain .law will be made available at some point too; the licence having recently been won in a closed auction. The companies who have the licences to issue the new domains say that they will only be open to genuine law firms but the decision by the international regulator ICANN to allow the .lawyer domain was challenged by Australia on the grounds that lawyers are regulated in many jurisdictions but the domain applications may not be checked for authenticity. The chief executive of Olswang has resigned mid-way through his second three-year term and is considering whether he will stay at the firm. David Stewart leaves his position with the firm’s finances in good shape and having overseen a period of international expansion including a Singapore office. Olswang said there will be a new CEO in due course. Baker & McKenzie and its Saudi Arabian alliance firm are to open a second office in the kingdom as it expands its presence in the Middle East to seven locations. Bakers already has an office in Riyadh but Jeddah is the kingdom’s main commercial centre. Ashurst, Hogan Lovells and Jones Day are among the other major firms that already have a presence in the city. Morgan Lewis has opened a new office in the Kazakhstan capital of Astana, formalising its existing presence in the Central Asian country. The firm already has an office in the city of Almaty and both will be overseen by existing managing partner Aset Shyngyssov.